A friend and I decided to give one of the lauded addresses in these glossy pages a try. I love hotel bars (as you may well know from past posts on Hotel Regina, The Westin, Le Meurice, Le Crillon, Hôtel Raphael, L’E7, and other luxury hotels in Paris) because the atmosphere is refined, relaxing and service is always wonderful. Don’t get me wrong, I love enjoying a simple Parisian café terrace too, but sometimes you just want to sit in the lap of luxury for an evening and feel pampered. To me it has the same effect as a decent massage! So Doni’s book is as beautiful an object as it it is packed full of juicy information. The martini glass cutout cover over a map of the City of Light is the perfect touch to a book that will have a prized spot on my mantle. Inside the covers, there is something for everyone : For wine lovers, for seekers of perfect café terraces, for DIYers, for those looking for the newest trendy spots for a cocktail, recipes, Parisian holiday ideas and more. The perfect gift for anyone who loves Paris, or anyone who loves cocktails and wine, and especially for someone who loves cocktails AND Paris! Oh and history buffs will be thrilled with all the anecdotes that Doni dug up from all the mixologists and bartenders she met as she scoured the city testing as many cocktails and cocktail bars as possible. So off we went to the Royal Monceau Raffles (um double check the address online, I think Doni mixed it up with the Meurice’s address in the book) which is nestled in between the Parc Monceau and the Arc de Triomphe. (I have been to their spa My Blend before but never their bar, restaurant or garden terrace). It is an oasis of calm; this place oozes luxurious comfort. We opted for the garden terrace because it was a lovely evening, and that water fountain is so inviting. I felt like I was on vacation for the evening with this view! It’s true the cocktails are not cheap here, but that keeps you from having one too many, and you also sip them slowly, to savor the flavor and make them last longer in order to stay as long as possible. Browse the drinks menu here. I had the Ispahan (yes, Pierre Hermé infused) to start, and my friend had the Raffles Parisian Sling. Both were wildly refreshing, juicy and exquisitely dosed in flavor as well as garnish. These cocktails are not only delicious, they are so pretty you spend at least ten minutes photographing them before taking a sip! (At least we did…). For our second round, I was so tempted by the Parisian Sling that I ordered one for myself, and my friend had….a divine cocktail that was so lovely it escapes memeory. We sipped, and chatted, shared stories, laughed and felt free as birds on vacation. Aaaaand c’est tout! Simple and divine. These were the perfect, almost-summer drinks for a girls night out. 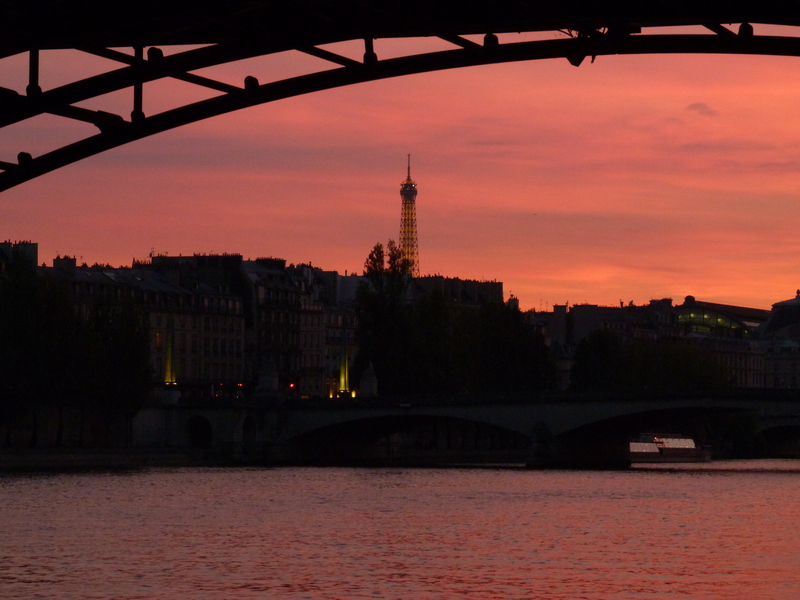 (Little did we know that the rain was soon to descend upon Paris for days and days…). Thank god we took such advantage of the nice weather and enjoyed the Royal Monceau Raffles terrace. For those of you who don’t live here or are unable to visit Paris, and don’t have the good fortune of being able to test out all these amazing addresses that Doni has included in her book, you can enjoy all of the recipes she provides. 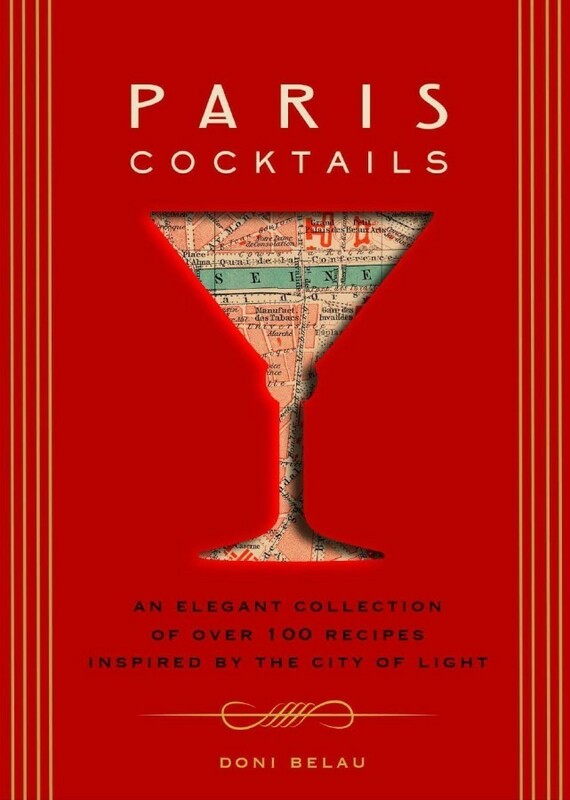 This book is not just a Paris cocktail bar guide, it is an inspiration for making your own cocktails! Vive le DIY! So gather les amis over for a cocktail party, put on some Edith Piaf and start mixing and pouring and toasting to the best that Paris has to offer, even if you aren’t in Paris… because let’s face it, you can borrow Paris anytime, anywhere, it just takes a pich of savoir-faire and a dash of savoir-vivre. Thank you Doni for this amazing book!